Manual Tank Heating - Hydro-Thermal Corp. This Wisconsin chemical facility was looking to improve their cycle times and improve the quality of their chemical product. The time to fill a water tank for mixing in the production process had become a barrier in the production cycle, and it was difficult for the current shell and tube heat exchanger to obstain the desired water temperature. There were also maintenance and energy issues associated with the current heat exchanger and condensate return system. A H2015 EZHeater® with a Medium (M) diffuser was installed on the production site. The maintenance group at the chemical company installed the unit without Hydro-Thermal® service. 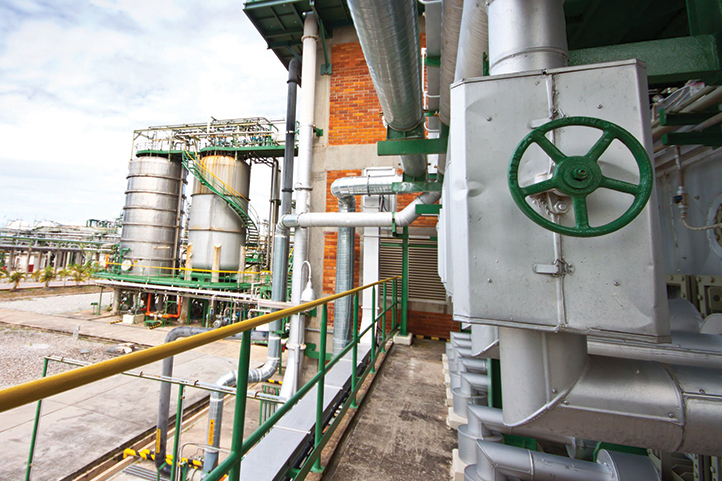 The EZ Heater® has provided numerous advantages for the chemical company. The production crew was surprised by how easy it was to control the manual unit to obtain the exact water temperature required for each individual product formula. Production cycle time was decreased, but more importantly, the temperature of the water was obtained much faster than in the past, which resulted in better end-product. Finally, the maintenance crew was elated by the reduction of maintenance time and additional suppliers required to support their old equipment.